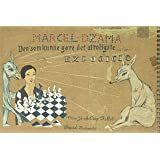 in just 2004 Marcel Dzama has had high profile exhibitions at New York's The Drawing Room and the Museum of Contemporary Art, Los Angeles. This is the only book on his work currently available. 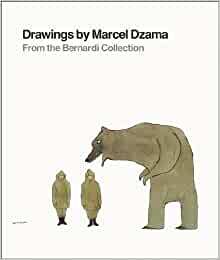 For Dzama fans this is a worthwhile book to own as it contains drawings from the years 1997-2000 and is filled with many wonderful, full color drawings. These are mostly drawings where there is one or two characters on a page with lots of white space around them. The only drawbacks to this book are the dimensions which are too small for my tastes, I would have preferred larger reproductions. And a hardcover edition would have been nicer. But the actual drawings themselves are quite fun and recommended especially if you want a collection of Dzama's earlier artwork. Book was in great condition and I received prompt international delivery. Thank you so much.